I think it's safe to assume that the warm weather is finally here to stay! And with the warm weather comes summer dishes that are light and filling. Made with genuine Italian tuna, this is no starkist "chicken of the sea" tuna. We pull out all stops and get the real deal. Bucatini pasta is a long noodle very similar to macaroni that has the hole running through the middle to allow for the noodle to collect. 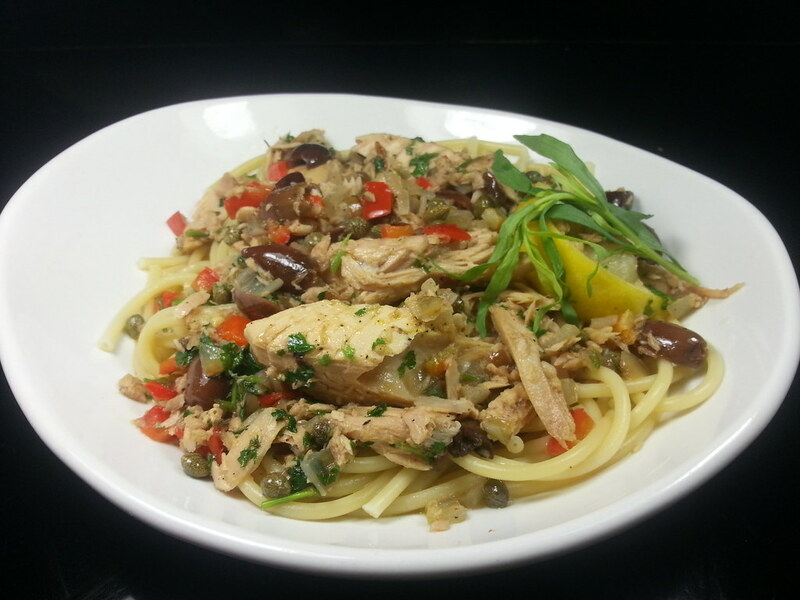 The meaty tuna pairs well with the salty and savory capers and olives for a Mediterranean experience that fits perfectly with our patio perfect weather! Enjoy this dish with a glass of white wine and good company... there's no better way to usher in the summer months!